This is the group's first LP, from 1975. Recorded at John Fischer's Leonard Street loft - by the time the record was pressed and available, the new Environ performance loft had opened, with Fischer running the show. The liner notes make mention of 'the new performing facility for new jazz and new music in the heart of SOHO, New York City - ENVIRON'. See earlier posts here for some brief background on the Environ loft. Here, the group is Fischer, Mark Whitecage, Perry Robinson and percussionist Armen Halburian. On one track, Fischer is joined by different personnel for one of his 'Poum' vocal compositions. These are all based around wordless vocal improvisations , trying to use alternative techniques and different methods of making 'body noise'. It's obviously something Fisher was dedicated to - 3 of the tracks here are in this vein, and his earlier album is simply called 'Poum!'. 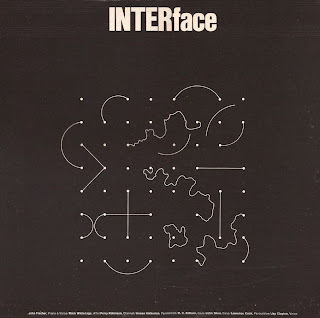 If you’ve listened to any of the INTERface LPs previously posted, you know what to expect of the ‘Poum’ pieces. As to the success, or longevity of the 'poum' method, I'll let the listener decide. I wonder if in 1975, Fischer had heard Phil Minton. It seems unlikely, although it may have been salutary. .
On one of these Poum pieces, Fischer double-tracks himself. Better, is the track where he's joined by the exploratory singer Jay Clayton. [More of her here soon] . It's a one-off for this aggregation though - the rest of the pieces on the album feature INTERface stalwart & regular bass player Rick Kilburn and percussionist/drummer Armen Halburian. Halburian is credited with only percussion here, although he pretty clearly plays the regular trap kit as well on 2 pieces. An American of Estonian descent, some may recognise his name from Woody Shaw's Rosewood record or Miroslav Vitous' Arista Freedom LP. His career goes back to the mid 50's, playing drums in Marion McParland's trio, although for much of the 1970's, his meal-ticket and claim to fame was in the groups of Herbie Mann. He appears on many of Mann's records of the period. Armen Halburian died last March (2011), aged 77. Kilburn, mentioned in an earlier post, sounds great. Bass players always get talked about as 'muscular' 'solid' 'brawny' or 'sinewy'. We must - on principle - avoid these tedious clichés , and simply say that Kilburn has great intonation, sounds full and forward on a not-particularly super-hifi recording and is a great musician. There's far less Mark Whitecage on this recording than the later records, more's the pity. As recompense we get to hear the wonderful Perry Robinson on clarinet - playing beautifully. His solo on the final track is funny, inspired and impassioned all at the same time. 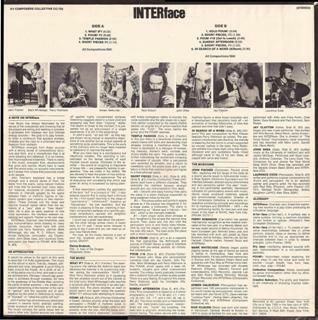 I think I referred earlier to the sound Fischer got from INTERface as 'chamber jazz'. Interestingly, in the liner notes here, Fischer refers to 'Dry Jazz', which in some instances of his group's music, may be even more descriptive. According to the provided 'Glossary', Dry Jazz is 'Interfacing abstract sounds with jazz instrumentation in a non-sentimental aesthetic'. Even the fact that a Glossary is provided on the back of an album jacket suggests that Fischer is somewhat of a conceptualist, with a pedagogical bent. In 1975, the 'wonder years' of the busy Environ loft - with its hugely diverse range of musician and performers - lay still ahead. Quite how Fischer managed to run the busy place, book the many artists, and still run his own group, documenting them on records - I'm not sure. But he did, and this LP is from the early part of that recorded legacy. Art, Poetry, Recordings. The recordings are hard to find –use link on previous post to jump straight there if required. Shared with Mark’s wife Rozanne Levine, a talented player and composer in her own right. Armen was an inventor as well as pecussionist – his bar chimes and special drum key are detailed on the site, as well as a nice rundown of records he appeared on. Roy Ayers, Leonard Cohen…. If you don't know Clayton, check her out, she is a fine musician. 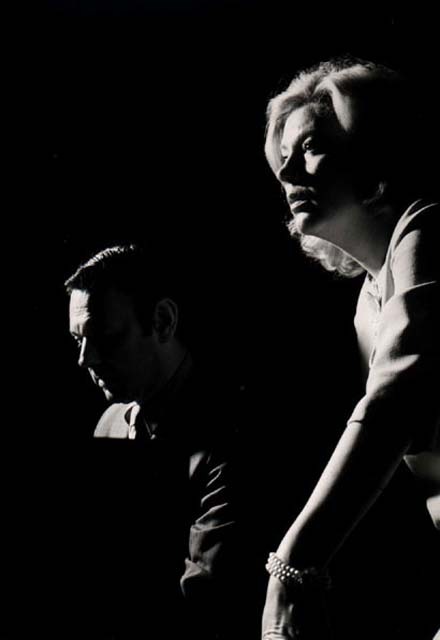 She's recorded with Muhal Richard Abrams, John Lindberg, Gary Bartz, String Trio of New York, Gary Peacock, as well as being a primary corner of the group Vocal Summit and performing works by John Cage amongst others. I believe she also sings jazz standards. Remember folks – BUY recordings of musicians you value and enjoy ! That supports the musicians – which we must do, if there is to be a future for creative music. Proper size cover scans are, as usual, included, along with FLAC files and an Informational note. Reza, have a listen - if you like it and would like to own it, I have a spare copy (yeah, weird I know). Yours for the price of the postage. I always like it when you guys pass by with something new. Thanks for sharing. this is wonderful, even if not for me as satisfying as glimpses which is so eloquently visceral.......Phillip Wilson is missed! Since i know your blog, i ve reflected a lot and i can say now you definitely are one of the 20 persons i love the most on this earth. You re a real benefactor ! Poum is used in the Soundtrack for Fischer's 2002 video "Turning". There's also a track from John's 2012 gig at Cafe Vivaldi (with Perry Robinson & Rob Zollman) on his youtube channel. Sean - many thanks for the info and the link to John Fischer's youtube channel - great to see and hear Fischer and Perry Robinson play together like that in 2012 - 35 odd years after they first did. is there any chance you could please re-up this album (interface)? all your hard work is really appreciated.